The ZF series of high efficiency dc/dc converters are available in single output versions with 1.5VDC, 1.8VDC, 2.5VDC, and up to 15VDC output, at up to 30 watts of output power. The product is ideal for telecom and networking applications. 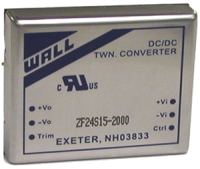 These converters are designed for a 2:1 input range, either nominal 12VDC (9VDC-18VDC), nominal 24VDC (18VDC-36VDC), or nominal 48VDC (36VDC-75VDC). As well, these units are PCB mountable, with a package size of 2″ x 1.6″ x 0.4″. Standard specifications include L-C input filter, external trim of Â±10%, excellent load regulation, and short-circuit protection. The isolation voltage meets standard telecom requirements of >1600VDC. 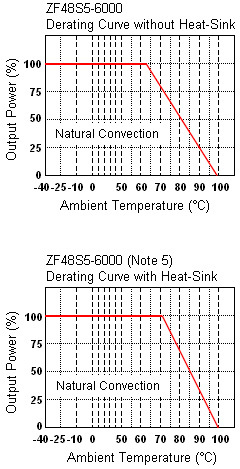 (3) Maximum value at nominal input voltage and full load. 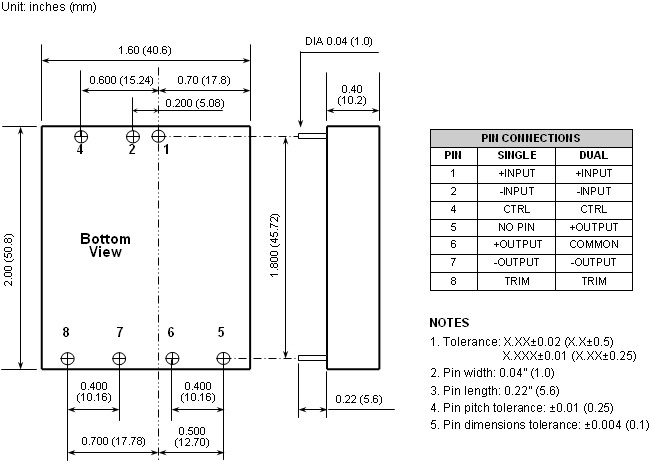 (5) The ON/OFF control pin is referenced to –Vin. (7) The ZF series can meet EN5022 Class A with an external capacitor in parallel with the input pins. The filter capacitor suggested is Nippon chemi-con KY series, 220µF/100V, ESR 48mΩ.